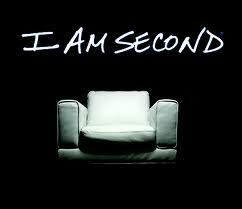 "I am Second is a movement meant to inspire people of all kinds to live for God and for others. Actors. Athletes. Musicians. Business leaders. Drug addicts. Your next-door neighbor. People like you. The authentic stories on iamsecond.com provide insight into dealing with typical struggles of everyday living. These are stories that give hope to the lonely and the hurting, help from destructive lifestyles, and inspiration to the unfulfilled. You’ll discover people who’ve tried to go it alone and have failed. Find the hope, peace, and fulfillment they found. Be Second." Or browse by Films to see people you may know. Some faces you will recognize through television, sports, music. Others are just people with a story, someone you have never seen before. Listen to the stories from people on these struggles and successes, where they have decided to become Second. Second to God being first! The first story I watched was Jason Castro. His story has been one we have followed from American Idol on, and it has been a blessing to watch this young man grow in the Lord and not let the ways of the World destroy him. I was brought to tears with his story, with his authenticity. This is a ministry to share with your pastor, youth pastor, small group leaders, sunday school teachers, and more. A great ministry with authentic, real conversations on a huge variety of topics! Spread the Word, I am Second! A great way to come together and connect! Sounds like it is a movement for all people to help strengthen our relationships with each other and God. I like that you actually get to watch real people on the films.